What Happens when You’re Arrested in Essex County? “Intake” in the criminal context means the first step in a criminal case. It will involve an arrest, charging you with a crime, and booking you. If you or a loved one has been charged with a crime for the first time, this process can be very confusing and intimidating. However, if you understand your rights and assert them throughout this process, it can have a significant effect on the results of your criminal case. The criminal process after being arrested is a journey you don’t want to take alone. Get answers about your criminal charges in Essex County by calling our criminal defense attorneys in Newark, NJ at 201-654-3464 or fill out our online form to get a free consultation. Many people make the mistake of assuming that being arrested and being charged with a crime are the same thing. 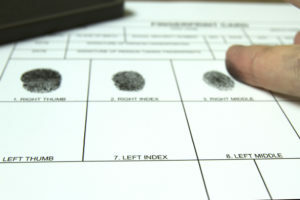 While they are often related, they are not technically the same, and will mean different processes when it comes to intake and then actually being prosecuted for a criminal offense. Below are just a few terms that you should know that will play a key role in the intake process. A Complaint refers to a document that sets out the reasons for the charge and the specific law or statute that you have allegedly violated. An officer can create a complaint, or a citizen can also generate a complaint if the offense relates to their person or property. You may face a citizen complaint, for instance, if someone accuses you of domestic violence. A Charge results from the complaint. When you are charged with a crime, a warrant for your arrest may be issued, but not always. An officer or another person must have probable cause to believe that you committed a crime to file charges against you. When those charges are filed, a court date will be set for when you’ll need to appear in court to face the charges. Arrest refers to the specific act of taking you into police custody. This can be the result of an incident such as police finding drugs in your car, or if there is a warrant for your arrest, police discovering your whereabouts and detaining you. When you are arrested, the officer may tell you generally what the charges are, but they do not have to go into specifics. In some cases, you may not fully understand what the charges are until much later. Although officers can arrest someone when they believe that a crime has just been committed, the defendant in that type of circumstance is not formally charged with a crime until the prosecutor actually prepares and files the complaint. In some cases, the prosecutor may simply choose not to file a complaint, and you are not charged with anything. This typically only happens when the evidence is so minimal that the prosecutor doesn’t believe they can secure a conviction if the case goes to court. When you are arrested, you are taken back to the local police station. Then, the officer will file a complaint against you. It will outline the charges, the evidence to support such allegations, and any other vital information, such as witness information, and when the incident occurred. Once the complaint has been prepared and filed with the judge, your criminal case will officially begin. The first step in that process is intake. This process is also commonly referred to as “booking.” It involves the officer taking a photo of you, taking your personal belongings and logging them, and taking your fingerprints. The officer will also take very basic information about you, such as your name, age, address, social security number, and other identifying information. From there, you will go through the process of determining whether you can be released or must be detained until your first appearance. If you were charged based on summons, you will likely be released after processing and when you have a court date for your first appearance. If you were arrested based on a warrant, then the prosecution may try to detain you so that you cannot leave before your first appearance. 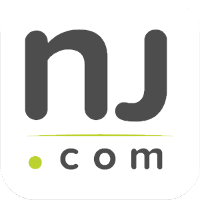 Unlike many states, New Jersey no longer has a traditional bail system. Instead, the judge must release you unless he or she thinks that you will be a threat to yourself or others, you will not appear in court as required, or you will obstruct the justice system if you are permitted to leave. It is a good idea to involve a criminal defense attorney as soon as you can after the intake process. Having your lawyer present for hearings and further processing at this early stage can be very beneficial. Call our Newark Criminal Defense Lawyers today at 201-654-3464 for more information about how we can help you or a loved one after the intake process. It is never too early to start developing your best defense. Free consultations are always available.